Kailash Uptown derives its inspiration from Kailash, a word synonymous with an idealistic and sensitive environment seeped in a feeling of elevated wellness and the refinements of life. 1bhk For Rent In Sector-42, Nerul, Navi Mumbai. 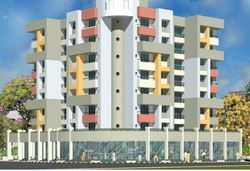 Meghna City equipped with latest technology gizmos, constructed with new age materials. Megha city reflects the aesthetic amalgamation of technology and nature in creating dream homes. With Meghna City, Meghna Group strives towards making every abode a gateway to royal living. We are offering services to our clients for the construction of Residential Apartments. These apartments are built by us as per clients' requirements and equipped with the all the basic amenities. 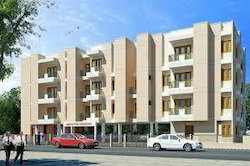 We are specialized in construction, Buildings and Developers, having good experience in construction across Navi Mumbai. For us this is just the beginning and we dream to work by keeping the same ethics as well as creating marks of quality construction in whichever area we work to be true to our name.